How can social enterprises ensure they are maximising their social and environmental impact? Alan Kay, coordinator of the UK’s Social Audit Network, explores “social accounting” tools for the growing Australian good-business sector. With the rapid expansion of what is now really an industry surrounding the measurement and assessment of social impact, it may be beneficial to reflect on whether or not we are looking to assess the “right” things. Are social enterprises, in particular, focussing their energy on the things that matter? In this article I will look at two things. The first is the seemingly dogged emphasis on impact and not always paying sufficient attention to the performance of an organisation. Linked to this is a lack of attention to an organisation’s approach, its values and its way of doing things that make it different from other organisations, particularly privately owned businesses. The second is much wider and I shall argue that the accepted and traditional triple bottom line impacts of social, environmental and economic should be questioned. Arguably, social enterprises should be aiming to impact on people, the environment and society or “culture”. So taking the first – to do this I want to look at the history of social accounting and audit. Back in the 1990s social and community enterprises, along with voluntary organisations, tried reporting regularly and in a systematic way on their overall performance against their objectives. In the mid-2000s, there was a pendulum swing away from performance and much more stress given to the impact an organisation has on its stakeholders. This was largely linked to the meteoric rise in social return on investment (SROI) and, I believe, driven by investors and funders wanting to get a bigger bang for their buck. Reporting by social enterprises and similar third-sector organisations focussed almost entirely on the outcomes for stakeholders and not nearly so much on how well the organisation performed given the context in which it was working, or on what type of organisation it was trying to be – its approach, its shared values and so on. There are recent signs that this pendulum swing is beginning to move back and people are now also wanting to know if the organisation is performing well – not least of all the organisation itself. There is also a need to know if it is a “good” organisation to be seen to be investing in, to be working for and to be proud to support. With social accounting and audit (SAA), an organisation is expected to report not only on its outcomes and impacts on stakeholders, but also on its performance against its overall purpose and objectives. Again, context is important as often organisations are operating under difficult circumstances and providing goods and services in often the most challenging of situations. · how it contributes to the local economy if it is community based. Turning to the second thing I want to look at – the impacts. Traditionally, it has been widely regarded that social enterprises have a triple bottom line of social, environmental and economic impacts. I am increasingly of the opinion that social enterprise should be using economic activities as a means to an end – the end being working towards social, environmental and societal impacts. Rather than perceiving the economy as an “impact”, the use of economic activities is what a social enterprise does – a means. But this is different from the final ends, which are impacts on individual and groups (social), impacts on the planet (environment) and impacts on the relationship between people and groups (society). Thus, economic activities are a means to an end and not an end in themselves. A social enterprise has to ensure that it impacts on people and their livelihoods in a positive way ensuring prosperity and well-being. I am defining prosperity here as being more than money and distinct from wealth for its own sake. In this model society is defined as the relationships between people and groups. It includes the culture of a society – the way we do things, the rules and behaviours and the expectations of how things should be. All social enterprises operate in a societal context and social enterprises in particular should monitor and at least account for their impact on the wider society in which they it operate – their contribution to a culture that promotes fairness, equality and the common good. SAA is not rocket science. It is a holistic framework that enables an organisation to report on all aspects of its performance and impact, internally and externally. It is only in having this well-rounded view that an organisation can be in a position to improve and, at the same time, be able to prove, thus evidencing its achievements and its contribution to social change. SAA is a useful tool for social sector organisations in Australia. It has the longest history as a framework for social accounting, performance measurement and reporting in the social economy. It has proven to be useful to ongoing business improvement in all social organisations, large and small. It is very much do-it-yourself and provides information on overall organisational performance, including with people, culture and values, rather than simply “social impact”. It is a valuable tool for smaller organisations for these reasons, and comes with low cost and complexity. 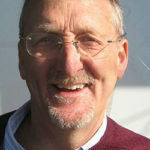 About the author: Alan Kay is the coordinator of the UK’s Social Audit Network. In April 2016, Barbara Beaton from the network will be involved in events in NSW and Victoria aimed at re-generating interest in SAA in Australia. For more information contact The Mercury Centre Cooperative Ltd.